The Win-Dor team recently paid a visit to budding home enthusiast Derrick Steadman, who found himself needing a more effective way to let him enjoy the natural beauty of the outside. 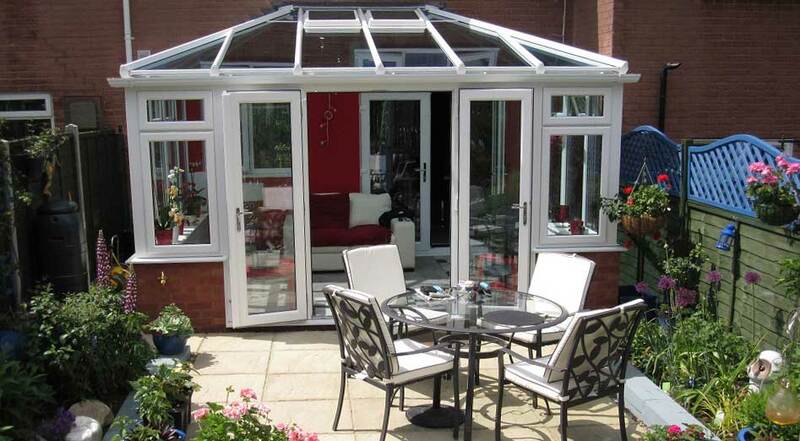 A high performance Edwardian conservatory from Win-Dor was of course the answer, with their simple-yet-effective aesthetics and bold lines, Mr Steadman could be assured that his family would always be blessed with panoramic outside views with some valuable extra space too! The job was a relatively simple process with our expert team taking extra special care when laying down the foundation in the Mr Steadman’s garden, being conscious and mindful in order to make the installation process as painless and swift as possible. The extension itself incorporates one of our high performance French patio doors in a three panel design, always ensuring that every transition from conservatory to garden effortless every time. When submitting his own photos of the finished result, Mr Steadman was awarded with the position of first place in Win-Dor’s regular photo competition. Out of all of the entries submitted, we felt that Mr Steadman’s Edwardian conservatory was the most picturesque helped immensely by the surrounding of his garden’s beautiful patio and plant life. The prize-winning photo means that Mr Steadman will be able to treat him and his family to whatever they’d like in popular retail store John Lewis, being awarded with £25 worth of vouchers. If desired, Mr Steadman can continue to improve the kerb appeal of his beautiful back garden usi8ng this prize, now complete with high performance conservatory. Could you be the next Win-Dor photo comp winner? At Win-Dor, we always do our best to ensure that every customer is informed throughout the entire home improvement project, resulting in the best finish possible. If a professional service and high performance products aren’t enough to tempt you into renovating your home, Win-Dor are always looking for more photo entries that further show off your beautiful homes and our hard work. For more information regarding any of our bespoke services, products or competitions, get in touch online today, we are more than happy to help!